She lived through war and peace, raised four children during tough times in mining towns, and have countless grandchildren and great-grandchildren. Like all the women in my family, she is an amazing cook with her own specialties – macaroni with fresh tomatoes and cheese, biryani the South African way, with lentils and large chunks of roast chicken, liver cakes for breakfast (don’t knock ’em till you try ‘em.) We all have countless tablecloths and doilies she crocheted – pineapple patterns in thin white silky yarn. It is on days like these that you sometimes wonder why we don’t all stay in the small towns where we were born, so that families could be together to celebrate momentous occasions. Instead, we celebrate in the way of many modern families – my cousin in Australia the first to post happy birthday to facebook – and my brother and I –many hours later when our day begins here in America, the last. At various times, we have had cousins living in Asia, the Middle East, Australia, Switzerland, here in the United States, and then there are those who never left home in South Africa, and still live close enough to drive to see her for the day. We facebook them – “Are you there? When is a good time to call?” And then we all call – trying to explain to her where we are – who we are, how old our children are now. Of course we’ll send pictures, we promise. She writes down who called. One or two cousins take a laptop to show her the many babies she has never met. And I always pray that the next time I get to South Africa with my little boy, she’ll be there to meet him. This is the ugly side of expat life, and this is the side I contemplate often as my husband and I plan our next intercontinental move – scheduled to happen (gulp) a year from now. As always, the world is too big, and not big enough. No place is entirely home anymore. I think of the traditions I would like my son to have – things to ground him, give him a home-base and stability, and the things I would like him to learn – respect for other cultures, respect and tolerance for people who think differently. As much as I worry about him – future Third Culture Kid – there is also the unmistakable euphoric joy of being out in the wide world – discovering the road less taken, the hidden door around the next corner. The realization that despite our differences, we are so much more alike than we would ever know if we didn’t make that unexpected friend in new places. Filling a lifetime with experiences, places, beauty, people… things to remember if we are lucky enough to turn 101. 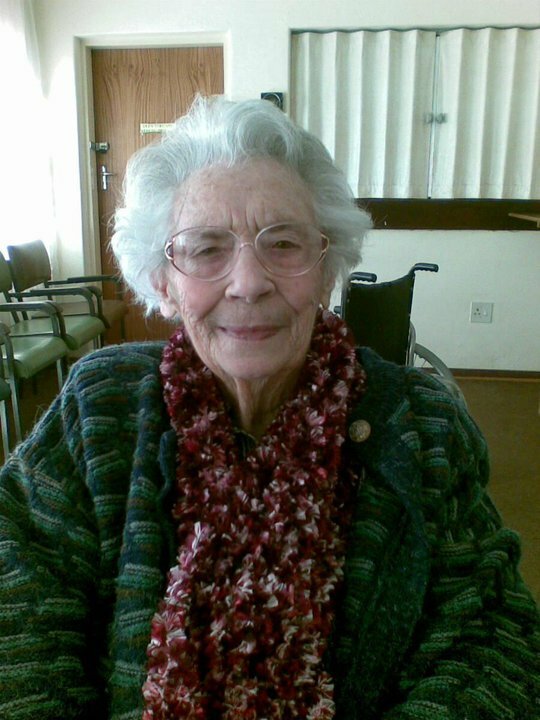 Happy birthday Ouma – sorry I’m not there to celebrate with you.